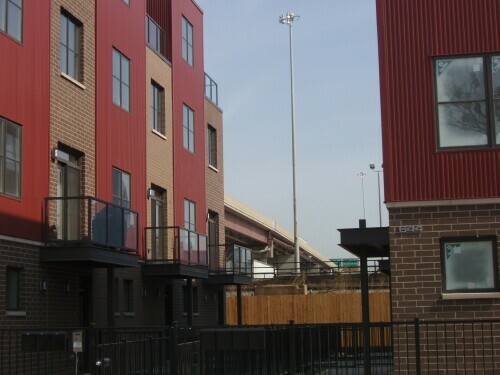 With the extreme shortage of real estate in Chicago (yeah, right) I guess it should be no surprise that developers are scooping up every available scrap of land for housing developments. 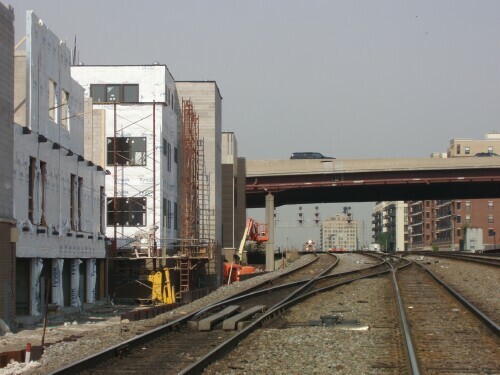 As you can see, the railroad tracks will provide hours of entertainment for the myriads of children who will play on them, while the Union Row homeowners will literally be a short walk from all major forms of transportation. The underpass will also provide great shade during the afternoon sun, saving lots of cooling dollars during the hot summers. 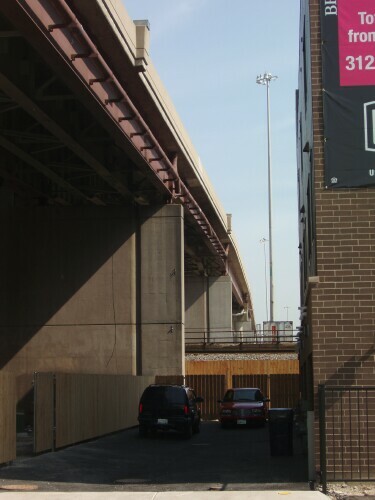 This view from the underpass should remain unobstructed until a developer decides to actually build a house under the underpass. 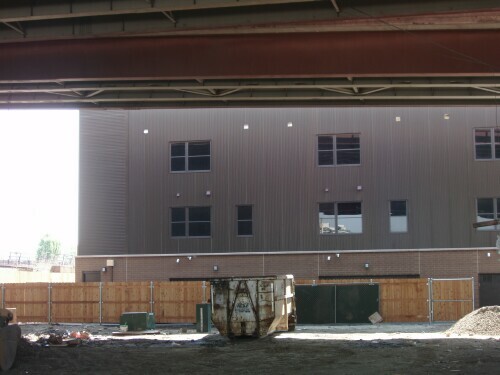 Even with the back fence folks will be able to see the train tracks and the Dan Ryan. No need for these folks to get a traffic report in the morning. All they have to do is look out their window. nice writeup, glad you linked to it. LOVE IT! We drive past these houses on our way to the grocery stores and always wonder why anyone in their right mind would buy one. Your post is hilarious! !